Language learners often ask me to recommend an online chat service where they can practice their English and meet new people. At times, however, I have some reservation in doing so because of the quality, content, and lack of moderating with such services. Of course, few companies will provide such service because of the manpower needed to supervise online chat sessions; I'm just cautious about the potential problems that can arise from using them. So, what have your experiences been using using online chat or similar services to meet people and improve your English? Do you have any recommendations? Canyonlands National Park, Utah: Sightseeing at its best! One of the most enjoyable parts of life for me is doing something that has absolutely nothing to do with computers and the Internet. In fact, I think that most people need a mental and physical break from work and school to recharge their batteries. Otherwise, we will just burn out. As many of you might know, I really savor getting far, far away from the hectic world and spending time in the outdoors. During the past week, I took a wonderful trip with my family to a wonderful, scenic place. One particular area I recently visited is one of the most remote national parks in the United States---a place you can hike for miles without seeing a single person if you'd like. The national park is called Canyonlands. 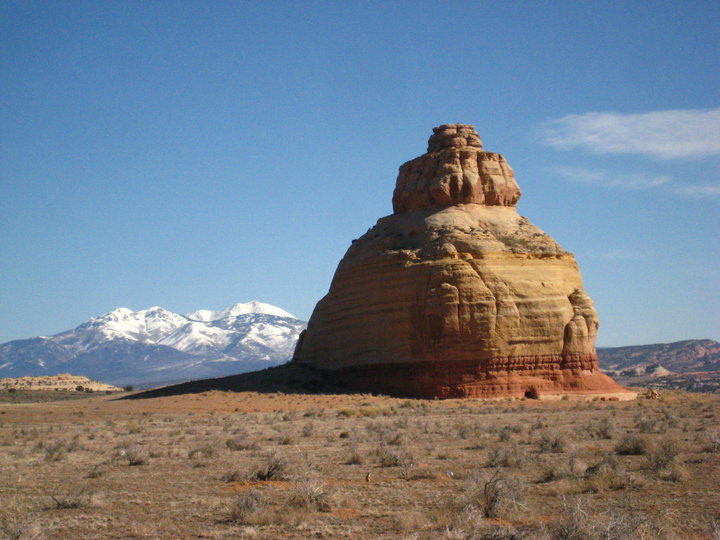 The picture above was taken a few miles outside of the park, but it can give you a sense of what you might find in southern, Utah.